This November, N.Tyler brings you two individuals who epitomize our brand. 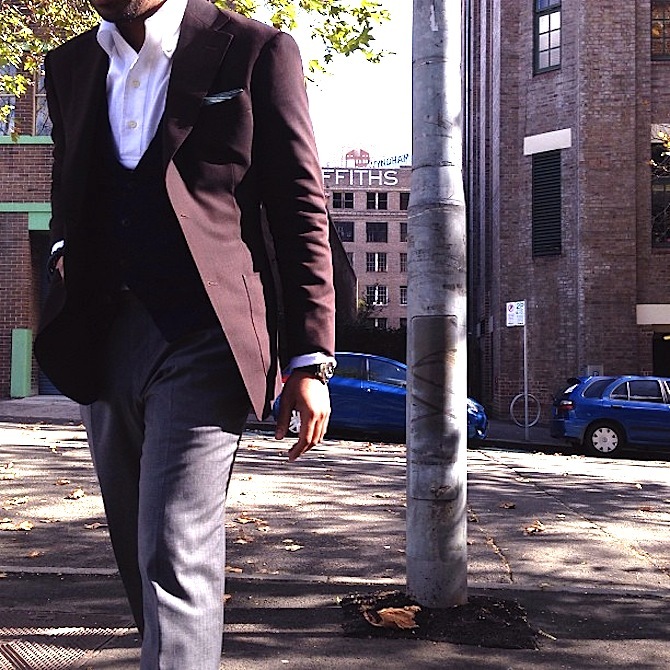 Passionate, successful and without a doubt- stylish, these men are influencers in their own right and blaze a trail not only in the sartorial realm, but the larger expanse of work and life. 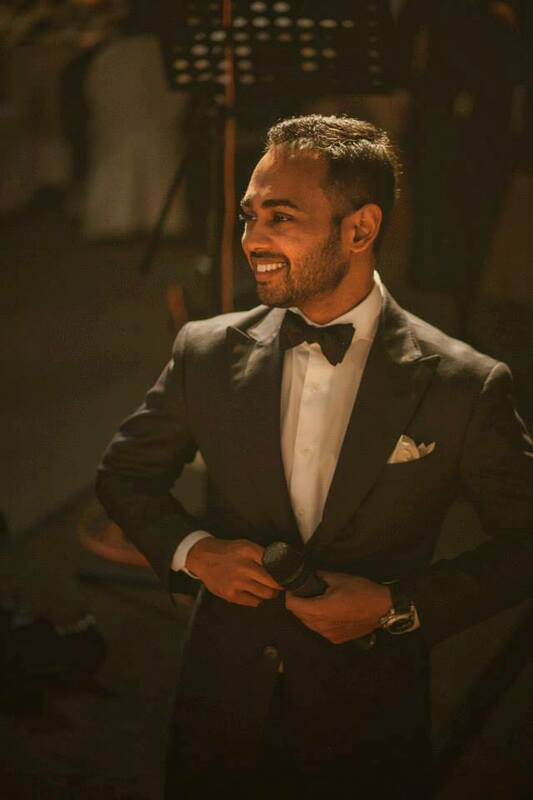 Read on to find out about their motivations, approach to style as well as advice for doing it right, and doing it well..
First up, we talk to Nabil Mustafiz, a lawyer, avid community worker and style raconteur who has his feet firmly planted in the right places. The man speaks about comfort zones, the relationship between language and style and his father as a Genteel Patriarch and beacon of inspiration..
Tell us a bit about what you do and why you do what you do? Nabil: I’m a lawyer by day, and it has been something I’ve wanted to do since I was 14. But I’ve never been content with doing one thing at a time, and so I’ve always been keeping busy with little passion projects on the side. I started with dedicating time to community work with young teenagers. Ever since my interest in classic menswear started in 2008, my passion projects are now centered around that. Sometimes I dabble in a bit of writing on this subject. Other times I’m gladly answering my friends’ questions about tailoring and menswear. In return, I get healthy doses of tips on the things I have no clue about. Our campaign for last season was titled ‘The Importance of Being’. What, to you, is the importance of being? Nabil: I think it’s important to remove yourself from your comfort zone when you’re a young adult. Move out and pay rent, do your own laundry and clean your own place; keep your phone away and ask the people around you how their day was; have a conversation without hashtags. You might be surprised how that could change your perspective on so many things. 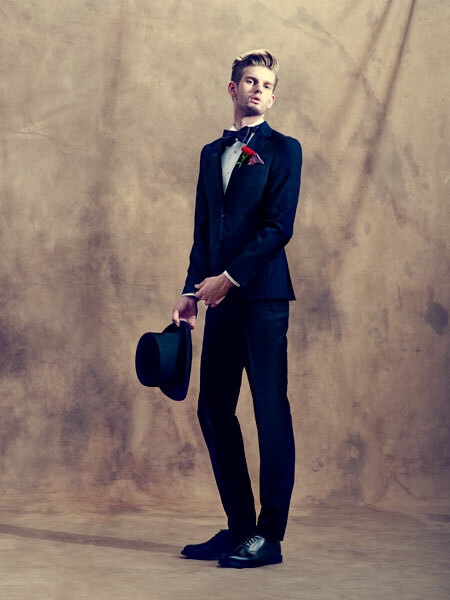 The campaign was inspired by three archetypes of men- the genteel patriarch, self-made men and heroic artisan. Which do you relate to the most and why? I was brought up by a genteel patriarch who remains a very significant influence. I did a lot of growing up late in life and learned from my dad the values of quiet confidence, quiet leadership and restraint. It’s very tempting to lose your temper or to take over the reins when things aren’t going as planned. It’s equally tempting to fade into the shadows when outcomes aren’t as expected. But that’s not the sort of person people turn to or look up to. My dad led his life as an example for his sons to emulate. He’s taught me to stand up and be measured when no one else has the courage to; and stand up for what is right when even you don’t have the courage to. Nabil: Everyday people around me who are doing ordinary things to make lives better (not just their own). These people, some I’ve met, some I hope to, are real examples of how small deeds can make a big impact. 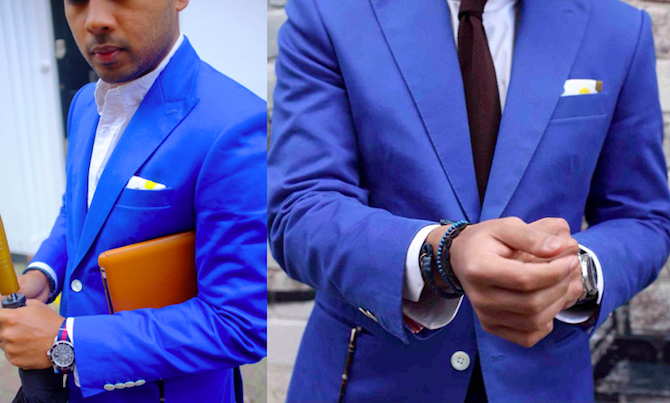 Do you think style can be acquired and what would you say to someone who wishes to improve or enhance his personal style? It definitely can be acquired. It’s like learning a language – you start with basic phrases, and slowly you widen your vocabulary and thread words together to form more comprehensive sentences. It’s the same with style. Start with the basics and staples. Mix and match progressively. Developing a personal style is possible but it shouldn’t be hurried. Don’t jump into outfits that you see in pictures on the internet. That’s someone else’s personal style. 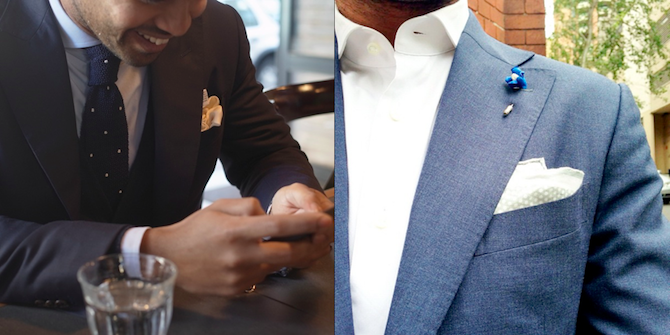 What is one piece of sartorial advice you would give to Singaporean men? 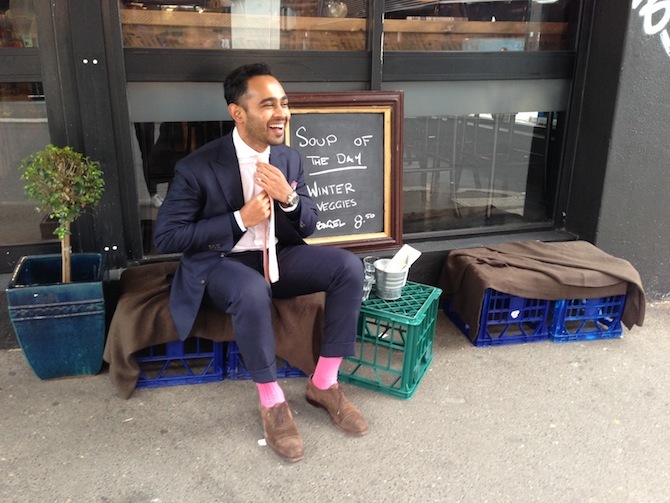 Nabil: Don’t use the weather as an excuse to dress sloppily, but that doesn’t mean wearing a bow tie and a three piece suit to a kopitiam. Talk to a tailor or a salesperson about fabrics, about the construction of the clothes you’re getting and you’ll discover options even in Singapore’s weather. 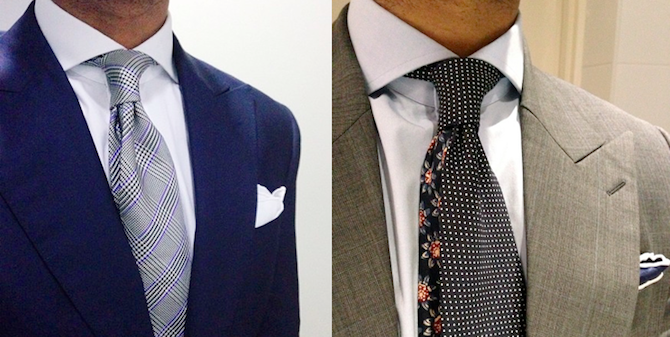 If your tailor or salesperson can’t help you, it’s time to find someone else who can. What is your wardrobe essential? Nabil: If I had to pick just one, it would be a crisp white shirt made just for you. There is nothing as versatile. There is also nothing else that is as important in pulling an outfit together. What are the three qualities in men you admire the most? Lastly which is/are your favourite look(s) from N.Tyler SS13 collection, and why? Nabil: Look 4. 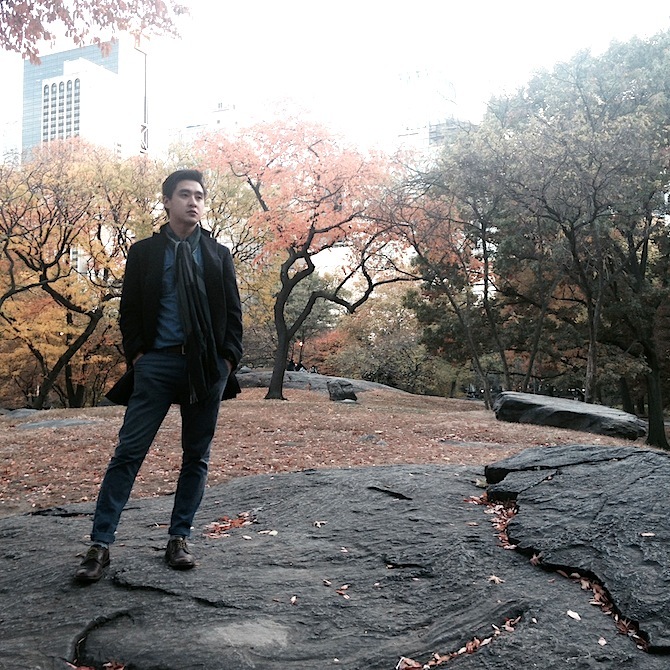 It’s a great balance between classic dandy in a modern silhouette. I think there are too many brands out there which pander to the looks defined by mass consumers instead of guiding and educating their customers on the value of clean lines and proportion in their clothes. This particular look brings back the spirit of keeping it classic but injecting a dash of flair. 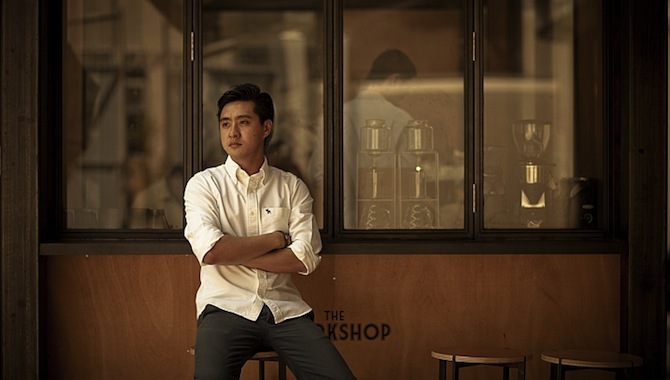 Next up, we talk to one of Singapore’s most prolific gourmet coffee entrepreneurs, Leon Foo. Redefining the place and significance of this handcrafted beverage, the man conceives of fresh, alternative destinations that resonate with the young, discerning and internet-savvy crowd. 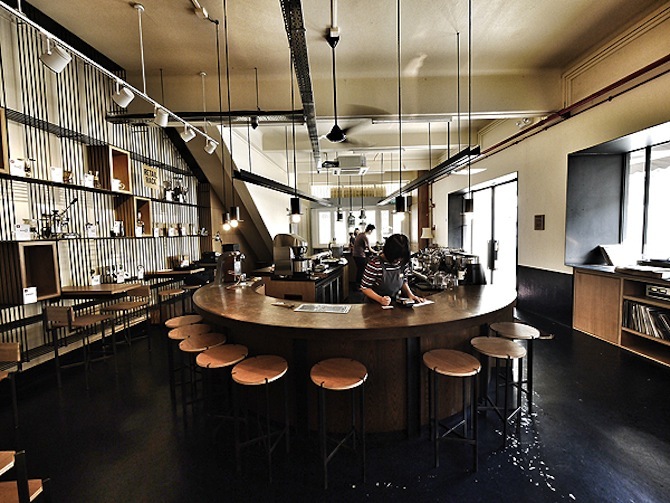 Papa Palheta, Loysel’s Toy and Chye Seng Huat Hardware are, as a result, born out of a singular interest and foresight that has irrefutably left a mark on our cultural landscape..
Leon: Hello, I am Leon – a coffee purveyor in Singapore. 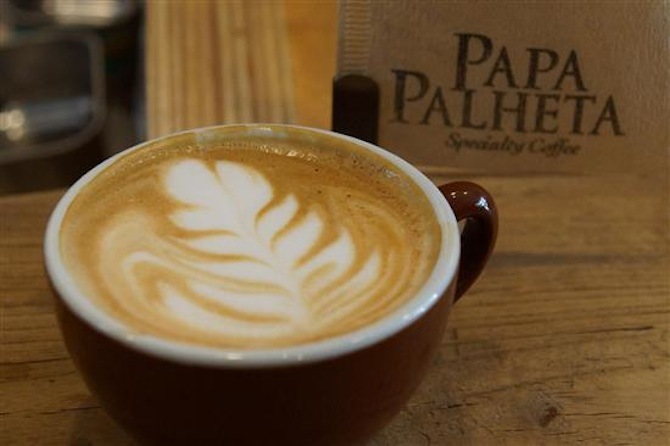 I started a local specialty coffee company called Papa Palheta. My passion in coffee spans the entire process- from the bean-sourcing, to the roasting of the beans into the caramelized brown drug we all love, up to the final product that reaches the consumer. The coffee culture is also something I personally embrace. It is one of those subcultures where you can literally connect with every man on the street, from the farmers from coffee-producing countries to the end consumer. What, for you, is the appeal of coffee? How many cups do you have a day? Leon: Coffee is honest. I’ve lost count of how many cups I’ve had today already! I guess it certainly is my drug. The interiors and branding of all your establishments are extremely well-designed and stylish. How does this reflect or translate to your personal style? Leon: Thank you. The interiors and branding is very much an extension of what we believe in and appreciate. 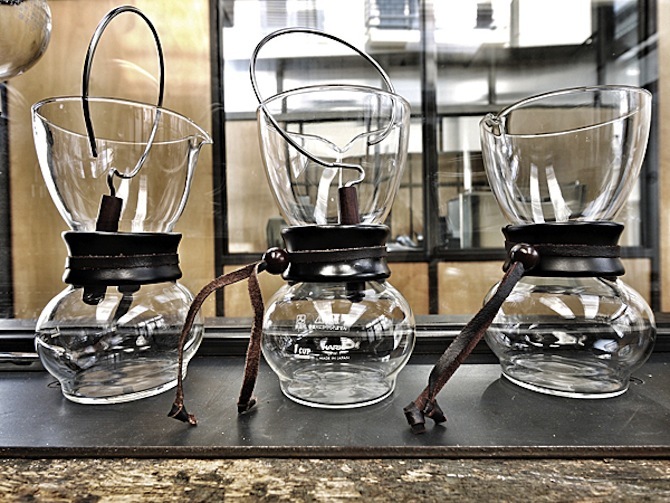 It reflects my appreciation for heritage, culture (and coffee culture) and material as form. 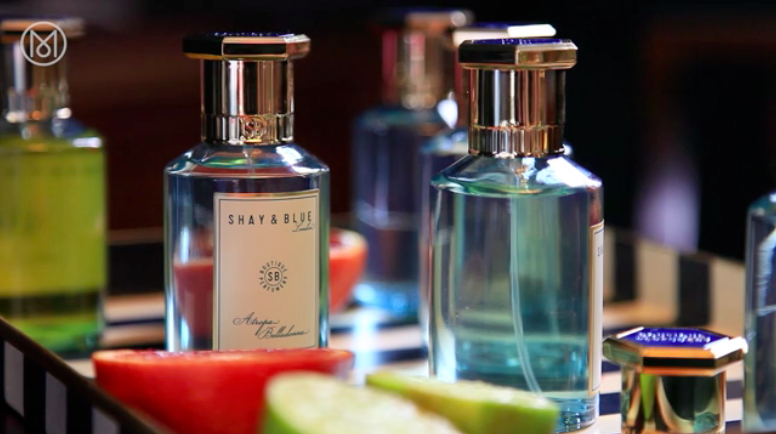 One thing that I personally embody is the importance of scent and sound– music. Leon: Being allows one to be. And I would say just “being” gives one purpose. Leon: Self-made men – because it is all about what drives you. Leon: People, design and experiences. Sometimes and in more recent times, it has been the urge to push boundaries and to redefine something. Leon: Dress for yourself and keep it simple. Leon: A classic white shirt. Leon: Drive, passion and knowledge. 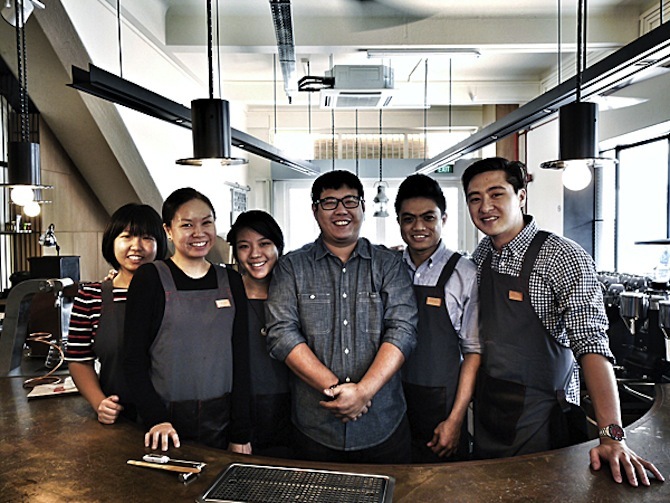 What piece of advice would you give budding entrepreneurs in Singapore? Leon: Do not simply think three steps ahead, but at least five to ten steps ahead. Constantly ask yourself why you are doing what you are doing. Look 4. It is classic and reminds me of the Great Gatsby! 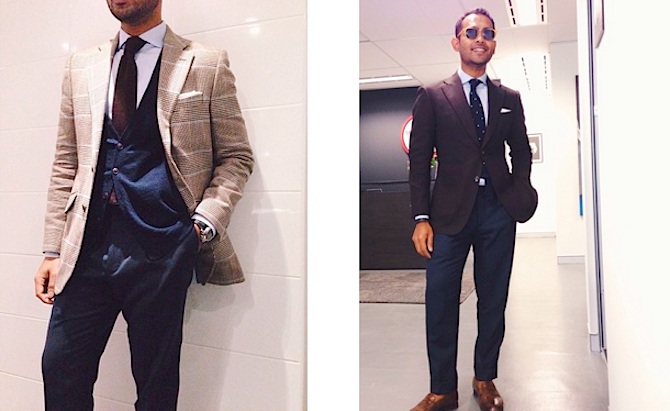 For more of Nabil’s style, follow him on Instagram here. 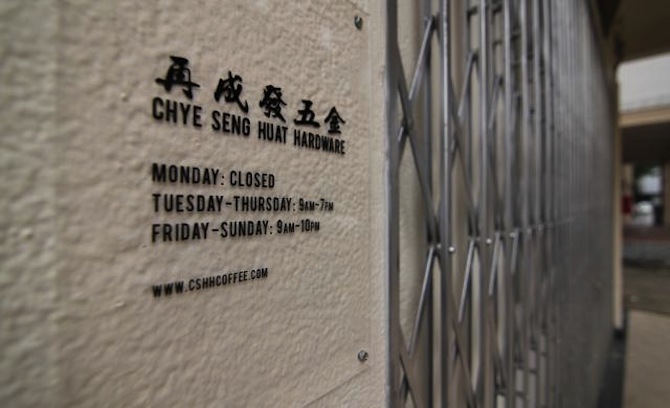 To embark on the coffee experience, hop on over to Papa Palheta, Loysel’s Toy and Chye Seng Huat Hardware. 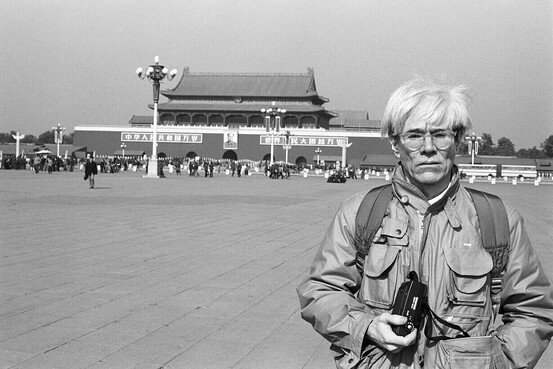 American photographer Christopher Makos, and good friend of Andy Warhol opens up about traveling to China with Warhol in the early 80s, his friendship with Ai Wei Wei and why smart phones will never replace photographers. 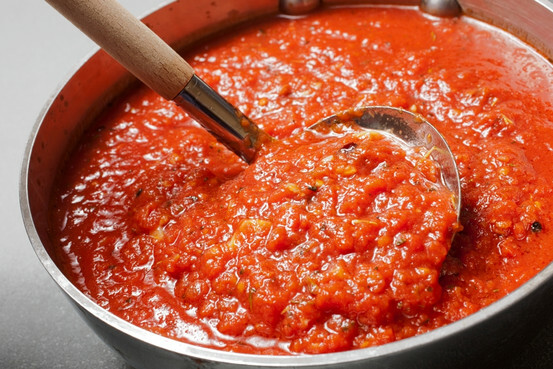 His exhibition, titled ‘Andy in China’, featuring over 40 images of the artist in and about Beijing has also just wrapped up in Shanghai..
For all you lovers of ketchup or tomato-based pasta sauces, you’d be delighted to hear the that Lycopene—a pigment or carotenoid found in tomato paste and sauce (and to a lesser extent in unprocessed tomatoes) can enhance cancer-fighting properties in healthy prostate cells… So, go tomatoes guys! 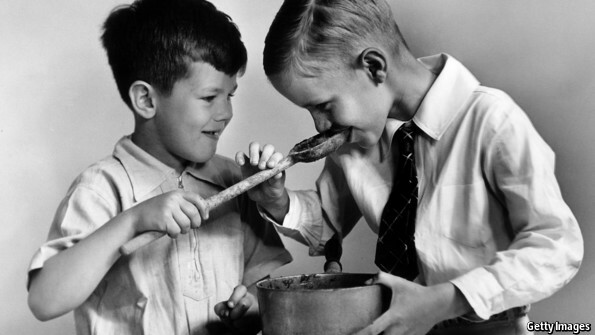 Recognizing that cooking today is very different from that of our grandparent’s time, American activist and author Michael Pollan puts forth his latest book titled ‘Cooked: A Natural History of Transformation’. Exploring a range of culinary topics such as the joy of making soufflés that rise to why bacteria are needed in fermentation, he also returns to the conundrum of why people now spend less time preparing food from scratch and more time reading about it or watching cookery programmes on television. Watch all about it here. A 6.5km swimming competition that traverses the channel separating the Turkish city’s Asian and European banks, the Bosphorous Cross Continental is an annual contest started in 1989 that draws over 1,000 participants from 42 countries. Here, Istanbul-based photographer Andres Gonzalez captures some picturesque shots of this one-of-a-kind swimming contest.. Itching for a dip, guys? 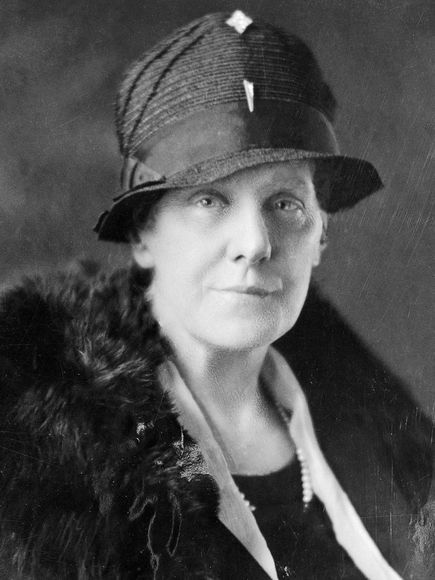 “Did you know that before the brunches, gifts and greeting cards, Mother’s Day was a time for mourning women to remember fallen soldiers and work for peace?” Championed by Ann Reeves Jarvis, a wartime activist who fought for better sanitary conditions and attended to wounded soldiers, the holiday was born out of commemorating the death of her own mother. From then on, the second Sunday in May came to be known as Mother’s Day..
For more on its history, read on here. Is honor, the most traditional sense of it, lost in today’s time and age? As people form their own codes of honour that, more often than not, are not judged by anyone else but themselves, here’s all that the man-in-you needs to know about how to revive this sacred code and charge forth with enlightenment and sensitivity!